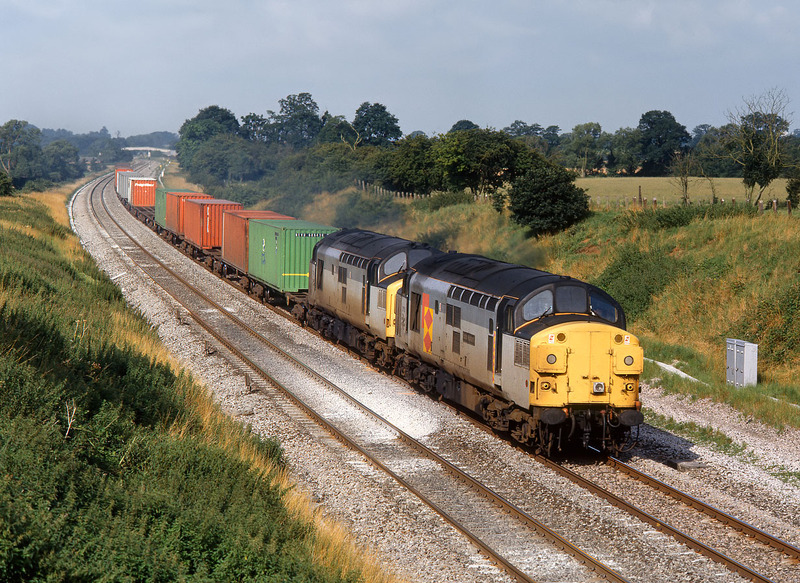 37113 Radio Highland & 37235 disturb the peace of the Vale of White Horse as they pass Compton Beauchamp with the 4L65 06:25 Pengam to Felixstowe freightliner on 24 July 1992. This working was allocated Class 37 haulage for a couple of years, and I photographed it as often as work commitments would allow, which in retrospect was not enough! There was certainly no problem in knowing when it was coming, as it could usually be heard leaving Swindon several miles away!